Synopsis: After seven years living as Alexandra Gastone, Milena Rokva is now free to be her true self, if only she knew who that was or had time to find out. Milena is in a race against time to bring down Perun, the very organization that trained her as a spy. Perun is no longer content to use their network of sleeper agents to protect her homeland and is maneuvered to take control of the world’s energy markets, sending the globe into chaos. Working with her surrogate grandfather, Albert Gastone, his CIA friend Brad and her old handler, Varos, Milena finds herself embroiled in an epic spy game teamed with friends whose endgames do not necessarily align with her own. The only person Milena can truly trust is herself. Can Milena take down Perun, protect her fellow cadets and make a life for herself with her boyfriend, Grant, as well as the friends and family she’s come to love as Alexandra Gastone? Buckle in for a wild ride as the Alexandra Gastone duology comes to a close. 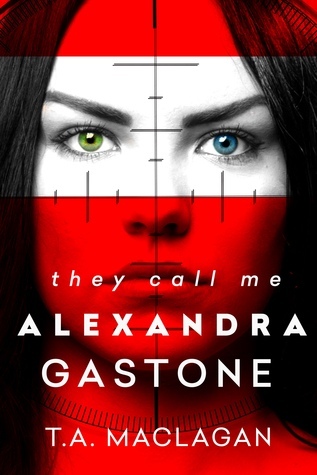 If you haven't read book one in the series, They Call Me Alexandra Gastone, you should probably read my review of it first. *WARNING: This review contains spoilers. 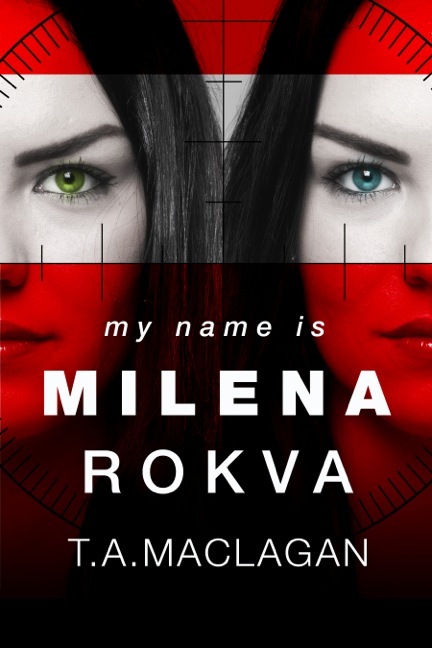 My Name is Milena Rokva picks up a little while after The Call Me Alexandra Gastone left off, with both Albert and Milena surveying other known Perun agents. 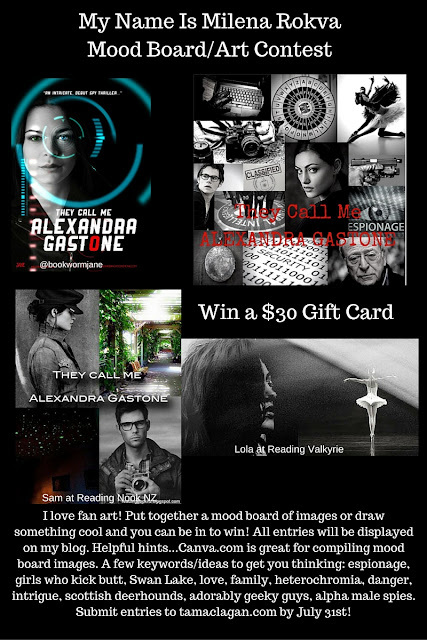 --Albert Gastone is the real Alexandra Gastone's grandfather who Milena was sent to live with as he is a CIA Analyst with valuable information. -- The Real Alexandra Gastone IS STILL ALIVE! And she is also working for Perun. Also, she's a genius. -- Perun has turned rouge, with friction on the inside, and a plot to completely control the world's energy, and regulating it so much the rest of the world will fall below them. -- Grant: The mark Milena was given to make fall in love with her as his father is a CIA agent, but she really falls in love with him. -- Varos: Milena's Perun handler that went rogue. Also, they kissed. 1. THE CHARACTERS: Every single character in this book was a spy, had other allegiances, other priorities and even more reasons for doing the things they were doing, and yet T. A. Maclagan managed to make them ALL work together with just the right amount of friction. What I mean is that DESPITE everybody being a spy and working together, there was that exact amount of trust and distrust that I would have suspected. 2. THE PACE: EVERY SCENE was given importance, and not rushed, and this is suddenly becoming a huge criteria for me in fantasy and thriller novels, and so, POINTS TO My Name is Milena Rokva! 1. The Plot Twists Execution: THERE WERE SO MANY. AND IN THEORY, THEY WERE MIND BLOWING. However, I just didn't feel Milena REALLY process anything that was happening around her personally, and that kind of ruined their effect for me. And that's about it! I hope you do pick up this series, because it is definitely worth it! 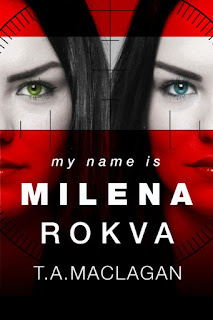 Follow the My Name is Milena Rokva by T.A. Maclagan Blog Tour and don't miss anything! Click on the banner to see the tour schedule.